I love the history behind this new product: a team of young people experimented at home in the hope of finding the perfect moisturiser for dry skin. They are not chemists but had various skin issues and thought that the products available to deal with these annoyances were too clinical and didn’t really tick all of the boxes. After a lot of hard work and trial and error DermaDew was born. This new wonder product had such rave reviews from its creator’s friends and family that they decided to take it to manufacture and introduce it to the beauty market. So, do I want to add to the rave reviews? Yes I do!! DermaDew is intensely creamy and smells divine, Japanese Plum to be precise! I applied the smallest of blobs straight after a shower, and a little bit goes a long way. This cream was heaven for my dry legs – which are covered in scratches and cuts at the moment- and a major plus for me was that it didn’t leave a sticky or shiny residue that the majority of intense moisturisers leave behind. Packaged in a pot so that you can access every drop of the product and with prices starting from just £4.99 really seals the deal for me! 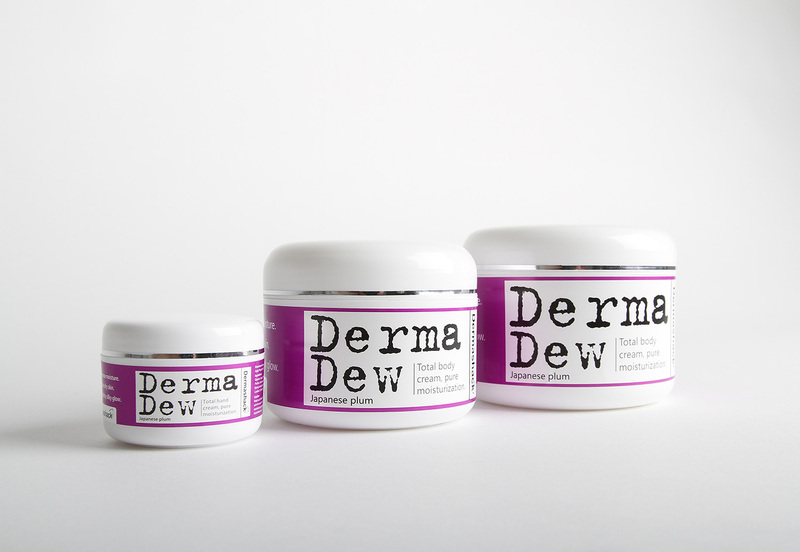 DermaDew will now be a staple in my day to day beauty regime.